Uber’s products, partners, and technology help enrich the lives of people in ways that aren’t always tangible. For example, how would you measure the relief someone feels when they are able to catch a ride when pressed for time? Or an increased sense of personal safety knowing you can share your location with others during a late-night ride home? A newly released study by the Economic Development Research Group* (EDR Group) takes a closer look at Uber’s economic impact in the United States and also measures Uber’s value-add to the lives of riders and drivers. From driver earnings, to community spending, to increased mobility options, riders and drivers who use Uber are having a substantial impact on the economy in the United States. We’re also excited to share that in the United States, the take-home amount in gross revenue for all of Uber’s driver and delivery partners in 2017 was more than $12.9 billion. Some unique insights and big numbers stand out in EDR Group’s study on Uber’s economic impact, which focuses on Uber’s ridesharing business. Uber’s platform supports $17 billion dollars of gross domestic productin the U.S. per year over the study period. The net economic value-add to drivers is $5.7 billion annually. Schedule flexibility is the most commonly reported amenity benefit for drivers. 80% of drivers cite the importance of schedule flexibility that the Uber app offers. Nearly a quarter (23%) of drivers nationwide were unemployed prior to driving with Uber. Overall, 11.6% of Uber trips in United States are taken by out-of-town visitors. And 26.7% of visitors report spending more during their trip because Uber enabled them to visit additional locations. 1 in 10 trips connect to a bus or rail line, according to riders. Another 14% of Uber trips in the United States allowed riders to visit destinations they could not access without Uber. One of the aspects we found most compelling about the study is how it takes a separate look at Uber’s economic impact on people who use Uber, for both riders and drivers. EDR Group’s surveys focused on how people use Uber and what they would have done if Uber or a similar platform were not available. In other words, all impacts were measured against a realistic baseline so as to capture Uber’s added value. EDR Group’s study shows that most of Uber’s driver partners report earning considerably more money than they were earning before they started driving. However, some drivers reported they are choosing to partner with Uber over a higher-paying earning opportunity because of the benefits of driving with Uber, such as flexibility and independence. The different kinds of amenity (non-dollar) benefits to drivers highlight a variety of reasons why people choose to drive. Maybe you’re busy taking care of children or a relative and you need work to fit your schedule. Or maybe you are retired, but enjoy driving a few hours every week to interact with people in your community. It turns out that the majority of US drivers (roughly nine out of ten) say they use Uber to complement other sources of income. At the same time, the availability of this kind of opportunity is a game changer for some people, as nearly a quarter of Uber driver partners were unemployed before they started driving with Uber. 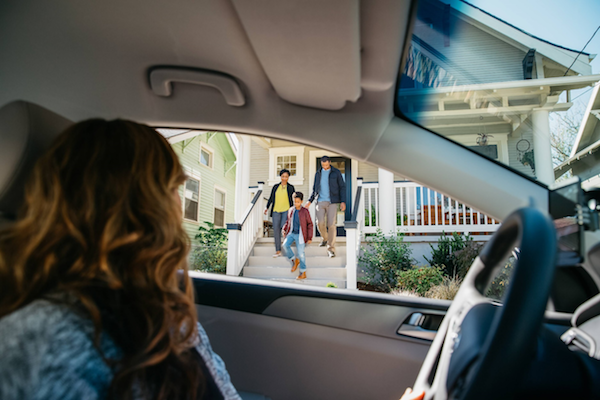 Overall, EDR Group’s study found that well beyond contributing to our country’s overall economy, Uber is adding substantial (and measurable) value to people’s lives. As you can see from the data, this report demonstrates that Uber has a net positive contribution to the national economy and at local levels. It is also clear from the study that Uber is part of a dynamic ecosystem: Uber riders rely on many interconnected options. At the same time, it appears that when drivers choose Uber by logging in to the app, they are doing so in the context of their lifestyle priorities. * The Economic Development Research Group (EDR Group) conducted this study from mid-2016 to mid-2017. They ran detailed surveys on riders and drivers to understand what they would have done if Uber were not available and also used limited trip and administrative data.